I love a good creature feature, and I’m willing to bet most of you here would agree. A great subset of that genre is films featuring giant or unnaturally dangerous versions of real animals, such as sharks, alligators, and of course, spiders. One of the best creature features to come out of the 1990s was no doubt Arachnophobia, released at the beginning of the decade by Amblin Entertainment. 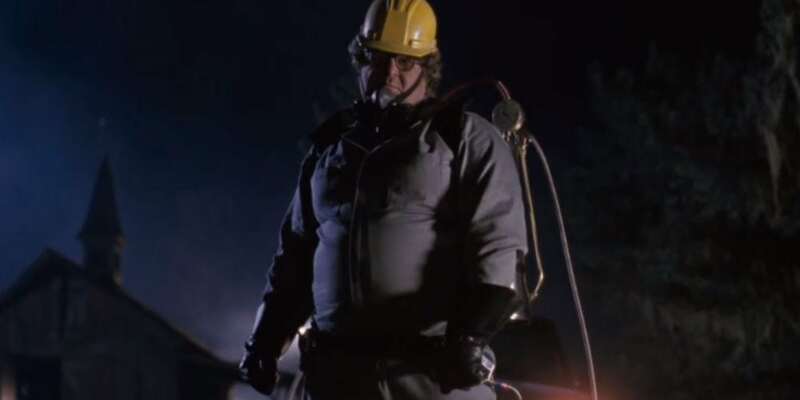 Directed by Frank Marshall, Arachnophobia starred Jeff Daniels, John Goodman, and Julian Sands. Arachnophobia was a big hit with critics, and audiences loved it too, earning it a respectable $53 million at the box office. Now, Deadline reports that Conjuring franchise creator James Wan is set to produce a remake of Arachnophobia. Sadly, Wan won’t direct, as his directorial efforts in the horror realm are currently few and far between. His most recent work as a director is the DC superhero film Aquaman, starring Jason Momoa as the titular ocean-dwelling member of the Justice League. Wan’s Arachnophobia project is still in the early stages, so a director and writer have yet to be hired. Frank Marshall will return as an executive producer, and one hopes somebody might think to call up Daniels, Goodman, and Sands to negotiate cameos.